You can add collaborators to an app by creating a Galaxy account that is owned by a Meteor organization and transferring the app to that organization account. Galaxy organizations accounts allow you to deploy, scale, and monitor apps with a team of developers. 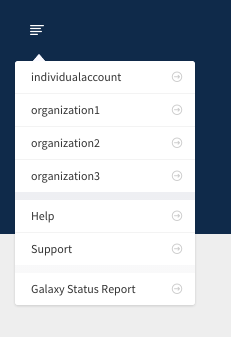 Create a new Galaxy account with the organization as the owner. Deploy new apps or transfer existing apps to this organization.